If you’re a kid from the 80’s, even 90’s or 2000’s, when you were told you were going to Disney World, you were PUMPED. Seriously, the excitement was uncontainable. Well, if you love social media and digital marketing, getting a ticket for Facebook’s annual developer conference, F8, provides a similar feeling. My outward expression might not have been as exuberant, but on the inside, I was jumping for joy. This may seem like an over exaggeration of enthusiasm to some of you, but this conference is unlike others in the fact that you have to apply and are selected to attend based on merit. Developers and industry leaders come from all over the world to hear the platform updates and new releases. It’s a very press-worthy event. I mean, one of the keynotes was given by Mark Zuckerberg, who as we know just addressed Congress, and is still trending for the recent Facebook data breaches. F8 made a big first impression. The San Jose Convention Center was adorned with conference artwork, and picking up my badge the evening before day one was quick and seamless. For any of you who have attended a conference, you know that’s not always the case. Bonus points were awarded as I was given a high-quality glass water bottle to be used at one of the many filtered water stations close by and ready for use. That might seem like a small detail, but actually thinking through the attendee’s experience down to, “how will they stay hydrated” isn’t usually the case. 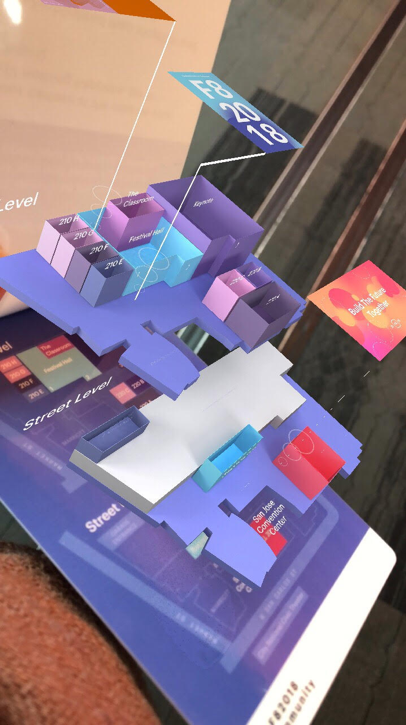 Oh, and did I mention, when you flipped over your attendee page, there was an augmented reality map on the back that held clues for a scavenger hunt? See the images below. It was freakin’ cool. Ok, now on to the good stuff: the keynotes and big announcements. I’m going to keep the major callouts pretty brief as the press released most of these details within minutes after being addressed. Dating App – yep, you will now be able to create a dating profile on the Facebook platform. Honestly, this seems like a natural fit for the brand. With all the privacy conversions happening, they did make sure to mention that this option is completely opt-in and private from your feed. So, no, friends and family will not be able to see your dating info. Phew! 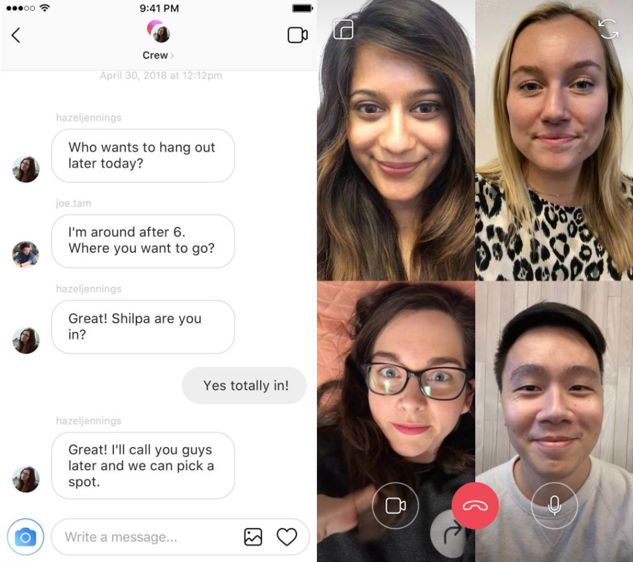 Instagram – as someone who spends quite a bitof time on this platform (for both work and personal) I was excited to hear they are adding video chats with friends. You can call one to multiple people at a time and have a full conversation. What’s even better is, you can minimize the video screen while you chat so you can still scroll your feed. I, personally, see myself using this feature quite a bit. Facebook Content – the experience users have on the platform is Facebook’s #1 priority. With that said, a couple of things were announced around that. You will now be able to add your own video commentary on top of a live video while it’s happening. You will also be able to host private watch parties with live streaming. So watching a big game like the Superbowl with your friends and family across the globe will soon be pretty simple.Along the same lines, to help improve the user experience, they will be adding a feature we’re all familiar with from Reddit, the vote up or down on comments.I can’t forget to touch on privacy! A new “clear history” feature will soon be available. It’s the same feature we are already familiar with in our browsers. As an advertiser, I did like that along with the “clear history” announcement, Mark Zuckerberg did stress that clearing this data does prevent Facebook from providing a very tailored ad experience. AR (Augmented Reality)/VR (Virtual Reality) – this was addressed day one and elaborated on day two. This is the most buzzworthy stuff, so it was featured as such. Oculus Go, the newest wireless VR headset was released at the conference along with the announcement that Oculus Venues and other new Oculus experiences are soon to follow. Just to give a little background information into what Oculus Go is, it’s a VR headset that drops you into a virtual realm. 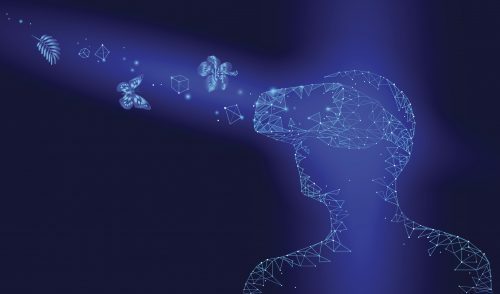 This VR world allows you to create an avatar that can be seen/used in certain experiences within the headset and the ability to have a 360 view into a location or space.The Oculus Venues experience will make you feel like you’re right there, in the action of whatever event you’re watching. As a soccer fan, I’m looking forward to testing this out and watching my favorite team play from what was shown as a very near field experience. 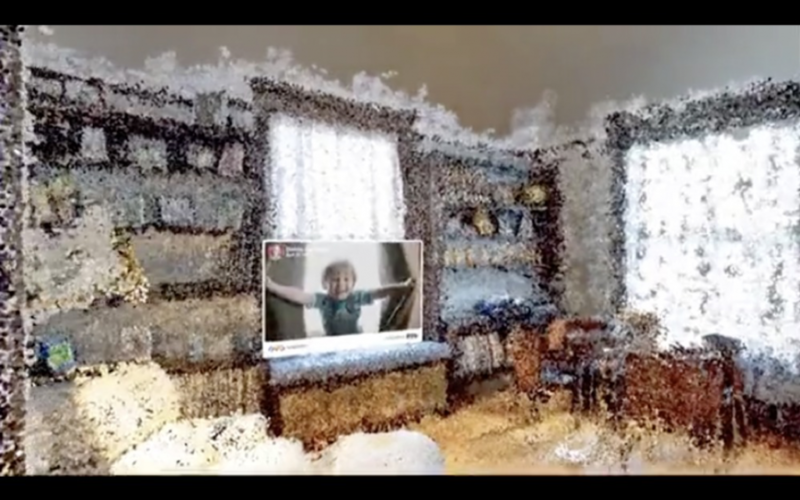 Another really interesting project they have in the works is a creating a VR/AR space with your memories. Essentially, with memories, you can travel a room and it will place those memories where they happened so that you can relive them in the exact place. Overall, I was impressed with the dedication and efforts put into leading the way with this technology. Facebook has even paired with other industry leaders to make sure the program is open-sourced and available for other developers to use/provide feedback on. The more brain power we can put behind these advancements, the better. Different perspectives and ideas will benefit all the users, not to mention time. Messenger: Chabots and the integration and value they provide was reinforced. While chatbots aren’t new, we should see these advancing from simple responses to more natural language learning interactions. Up until now, I have been showering the event with praise, but the content of the breakout sessions severely lacked depth and key takeaways. For a pretty advanced crowd, some of the topics were a little too basic, and others were just flat. The group seemed to quickly become restless, and there were a lot of walkouts mid-talks. Not to mention, some sessions filled in minutes, leaving entire crowds without a seat. Overall, the conference provides insight into the large changes that are about to be rolled out on the platform and utilized all over the world. As I think about it from an agency/client manager perspective, how will these exciting advancements impact my clients’ businesses? Strategies taking into account new changes and opportunities like chatbots are currently being worked on, and will be rolled out to each client individually. What I can say is, we are excited to see the impact that advanced chatbots, more immersive content, and more personalized social campaigns can have. We’ll report back on those initiatives in the coming year. All these changes seem to be embracing bits and pieces of other, non-Facebook platforms. In the future, will people want one platform that can do it all, or will people stay loyal to a mix of apps? Globally, will we ever truly sync in this way?